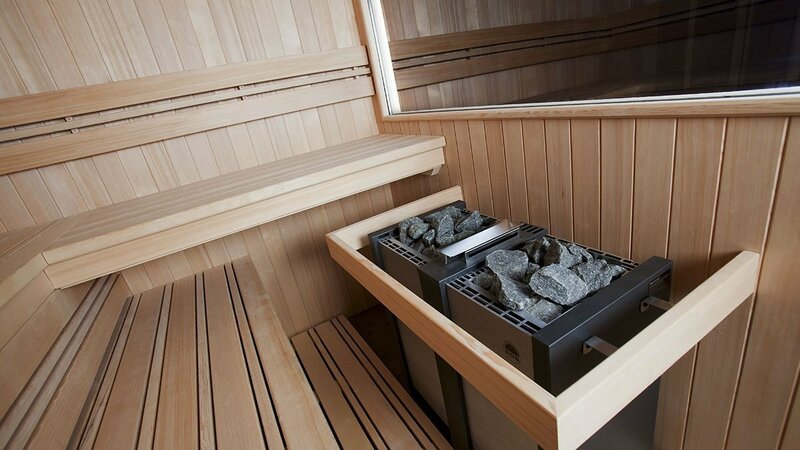 Sauna is the only word of Finnish origins which has been adopted by other languages. 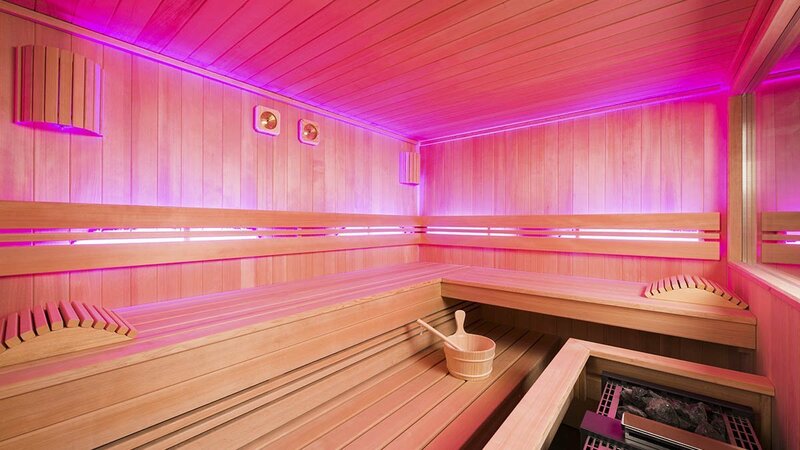 And to understand the extent of the devotion of Finnish people to this extensive custom, it is enough to recall that some decades ago it was normal for women to give birth inside of a sauna. 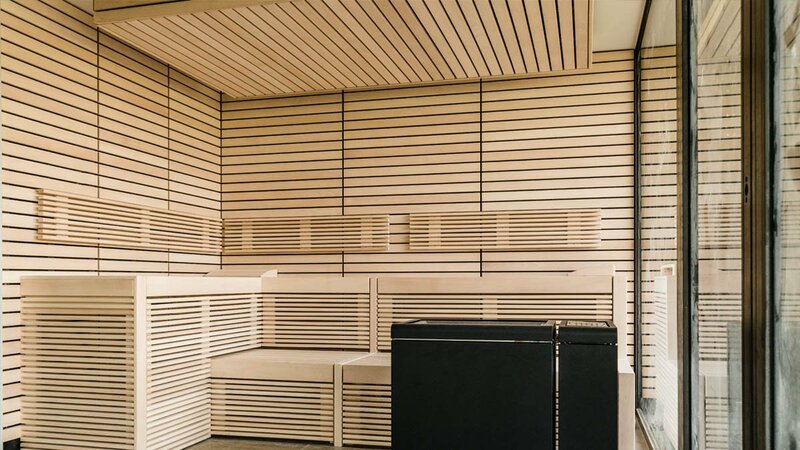 We use manufacturing of wooden saunas certified by the FSC, Forest Stewardship Council, whose mission, in forests around the world, is to provide economically viable, socially beneficial and environmentally responsible forest management. It guarantees that it comes from controlled deforestation. 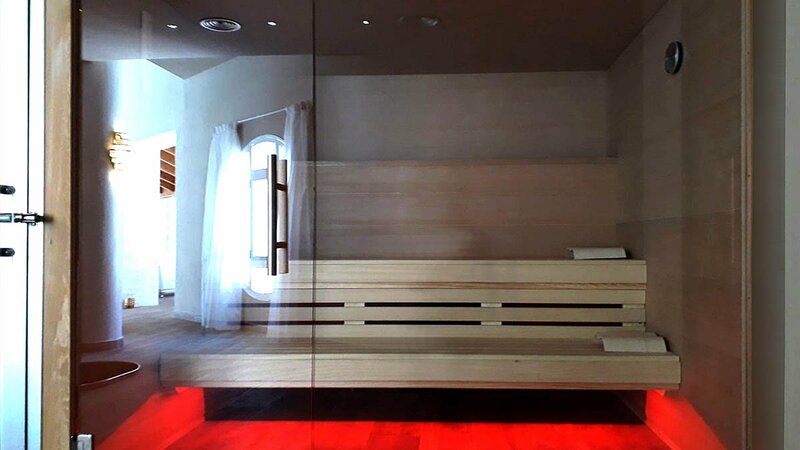 We custom-build the Finnish saunas with wood from hemlock, Nordic fir, cedar, etc., which is thermally treated, and tempered glass. 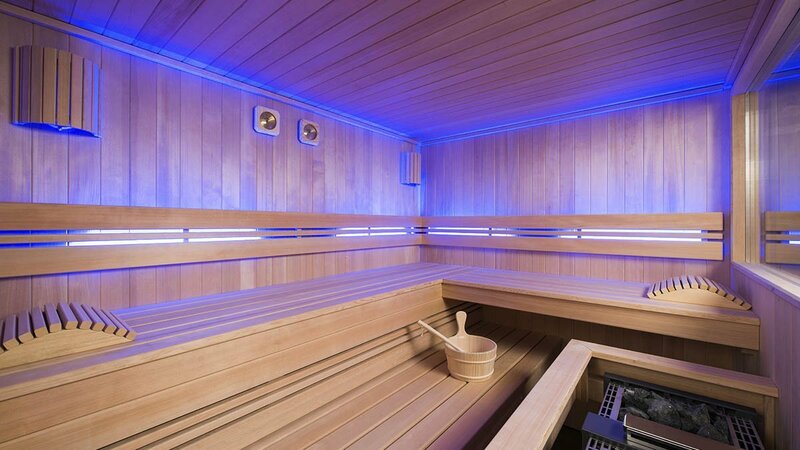 The panels are insulated with rock wool, protected with a vapour barrier, a ventilation system patented by InterVap Europa and a roof with double insulation to avoid the escape of heat. 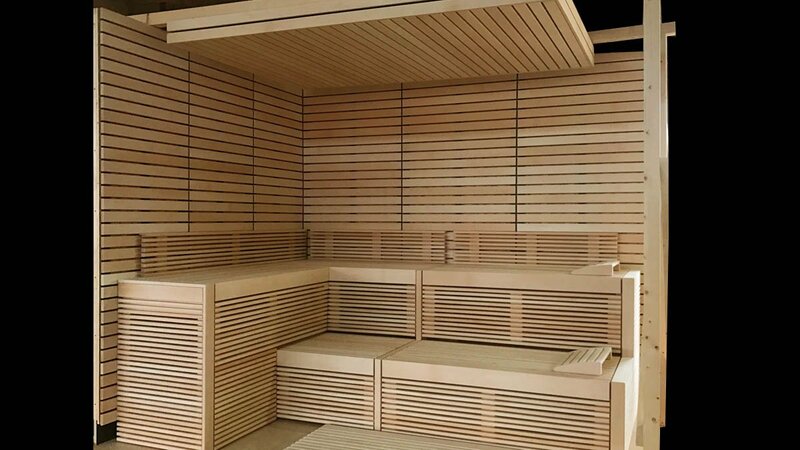 Insulated models built with triple-layer panels, glass fibre and tongue and roof joints with a special thickness in high quality woods. 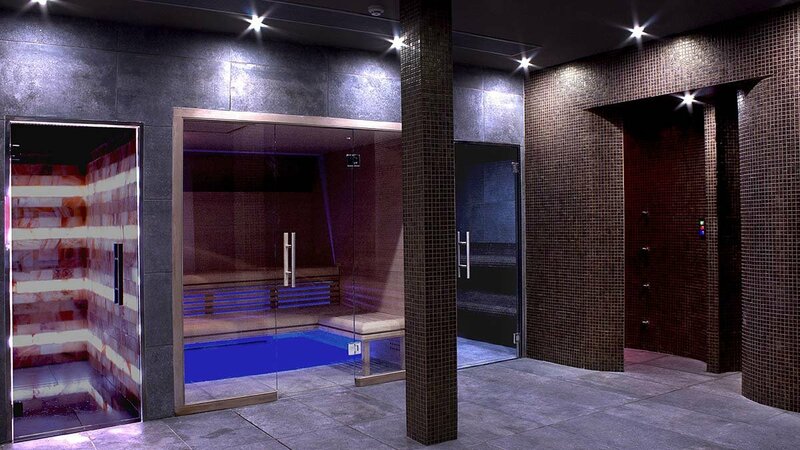 Sturdy upper rim in a maze, an exclusive system that guarantees total water tightness and minimum consumption in order to avoid any escaping of heat. 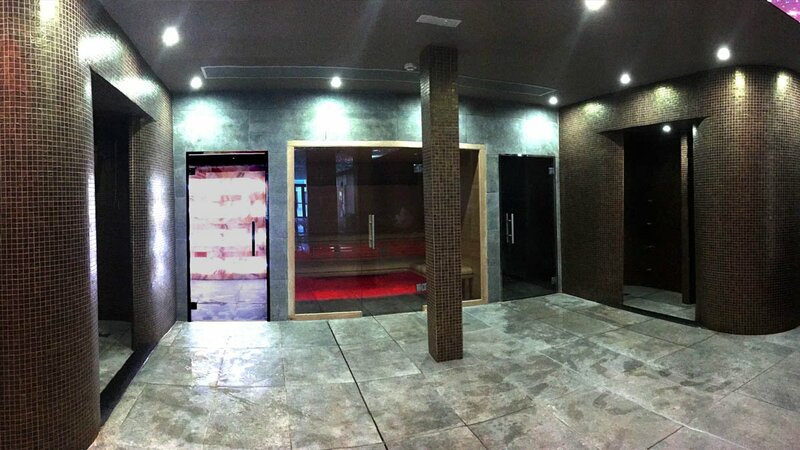 And anatomical benches and headers for tropical Abachi wooden saunas and other woods in harmony with the sauna. 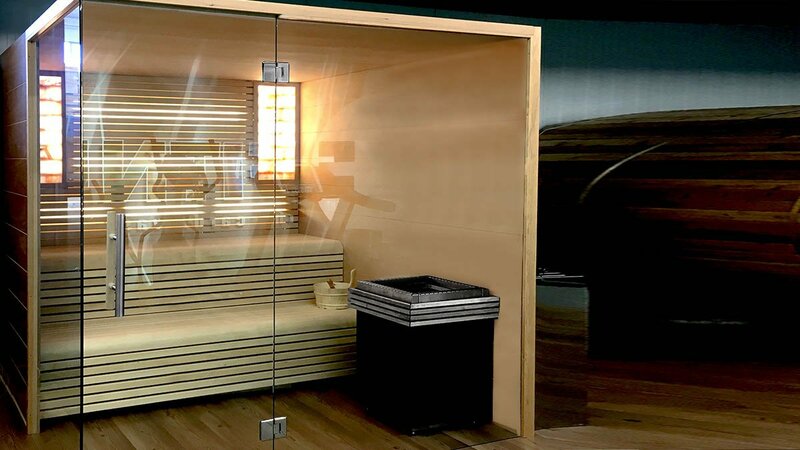 Aromatherapy kit which automatically releases mint in the sauna in the water manager of the hidden heater and sauna chromotherapy kit, including a set of coloured LEDs. 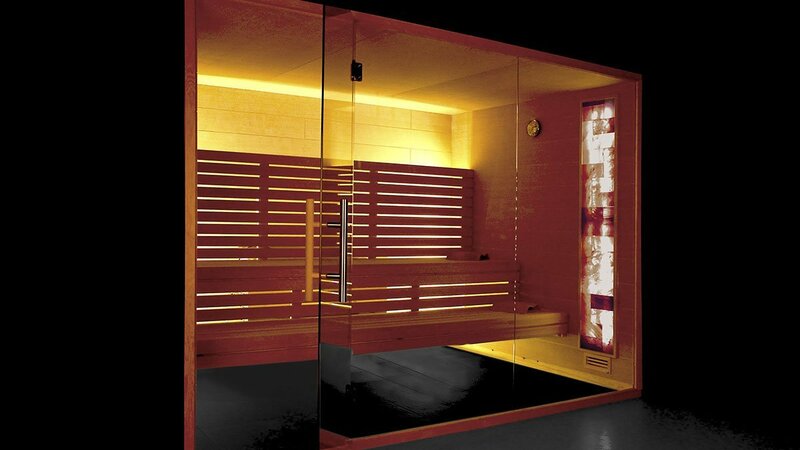 Option / Wall, with blocks of Himalayan salt, backlighting and different models of hidden and visible heaters for the sauna.